We were excited to be able to collaborate with Harding Lane this season to create the perfect summer hat. With a similar backstory to Fair Harbor, it was perfect match. Sarah and Steve, the co-founders, are a brother and sister duo that grew up in Massachusetts and had always dreamed of starting a business together. At first they only knew that they wanted to work together and had no idea what their business would be. The idea to start Harding Lane grew out of Steve’s endless search for the perfect fitting baseball cap (a beach day essential) and Sarah’s needle pointing skills. The brother-sister team decided to combine these two things and create unique baseball hats with needlepoint stitching. Another way in which Harding Lane's and Fair Harbor’s goals align is their intention to create an environmentally conscious product. Sarah and Steve not only work with environmentally and socially conscious manufacturers, but they also give back a portion of their annual profits to environmental organizations. They work with manufacturers that are FLA (fair labor), WRAP (worker’s rights), and SA8000 (social accountability) certified. On top of that, the environmental organization that they specifically chose is The Trustees of Reservations, an organization based out of Massachusetts that protects around 27,000 acres of land in the state. Head to their website to check out some of their other products like belts, dog collars, key fobs, and wallets!  For this collaboration, we worked together to design two hats in red and blue with a needlepoint stitched Fair Harbor logo. The hats are made from 100% organic cotton that is ‘Made to Fade’ to give you that ultimately summer style. This collaboration with Harding Lane only has a limited quantity, so make sure to buy them while you can!